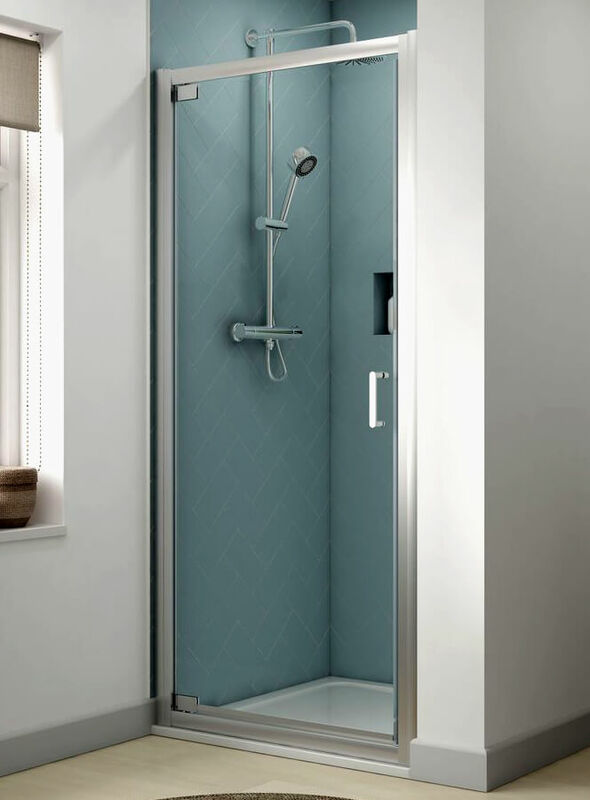 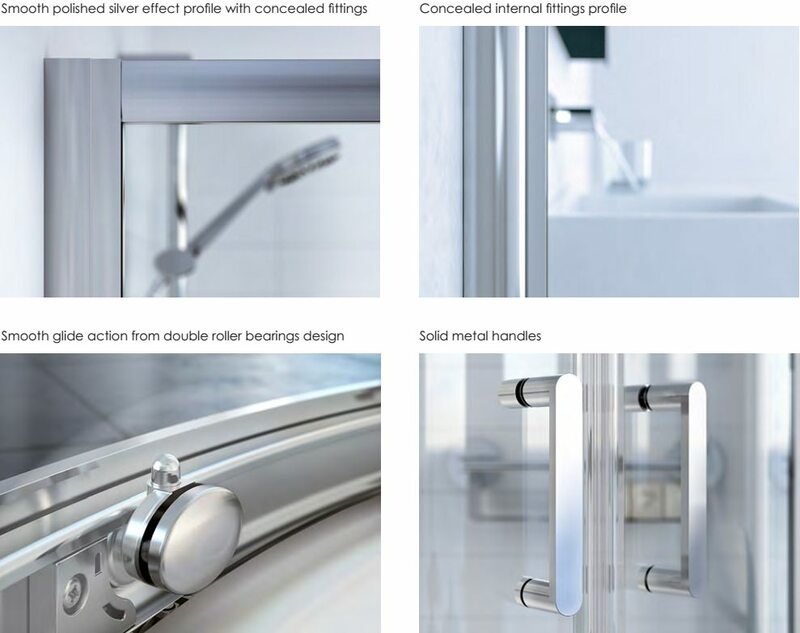 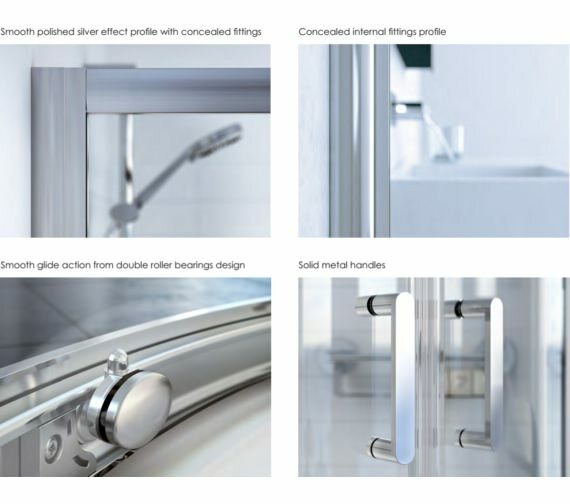 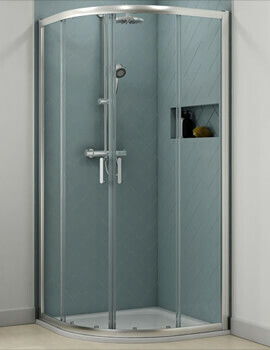 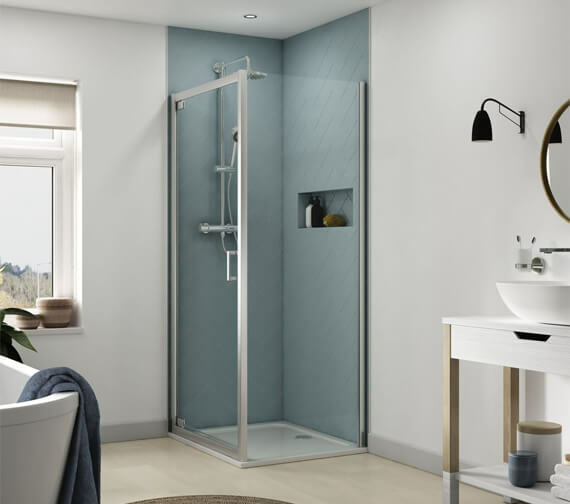 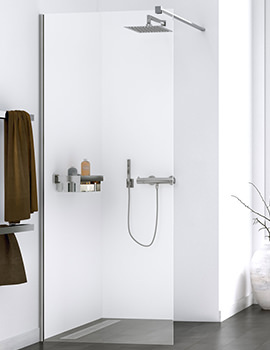 The Aqualux Origin Pivot Shower Door is minimally styled to create the maximum effect and is ideal for those looking for a shower that offers high performance and good looks at an affordable cost. 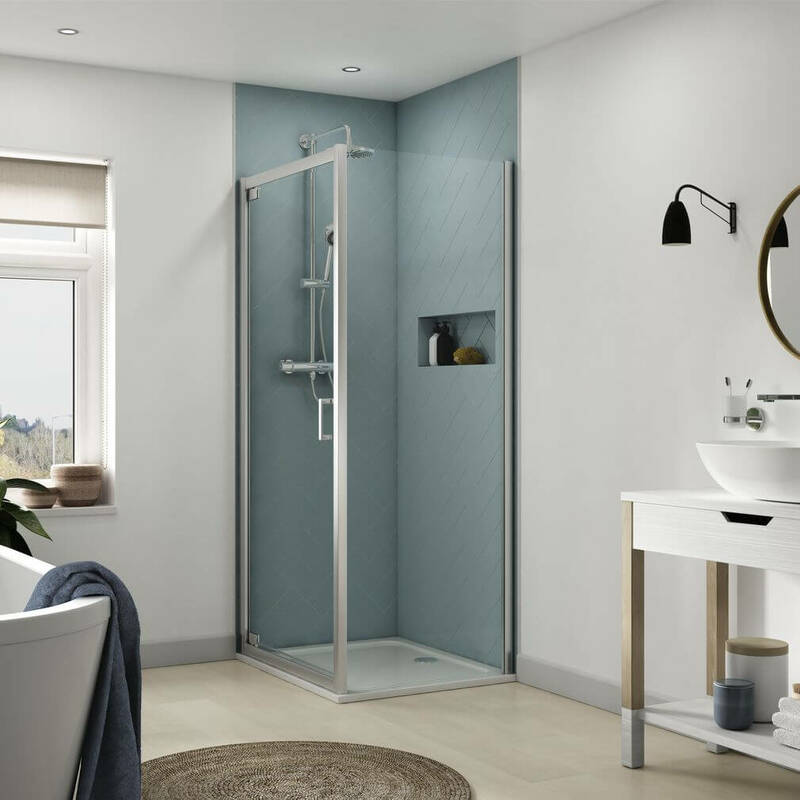 The polished silver effect frame and clear glass help to increase the amount of light your bathroom benefits from to create an open, refreshing and airy atmosphere. 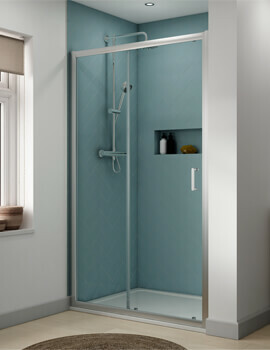 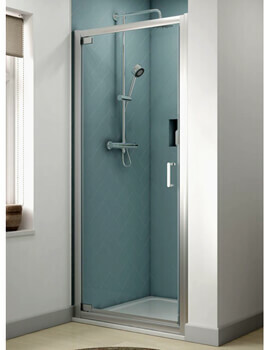 It is designed to open outwards into your bathroom and is ideal for a recessed situation. 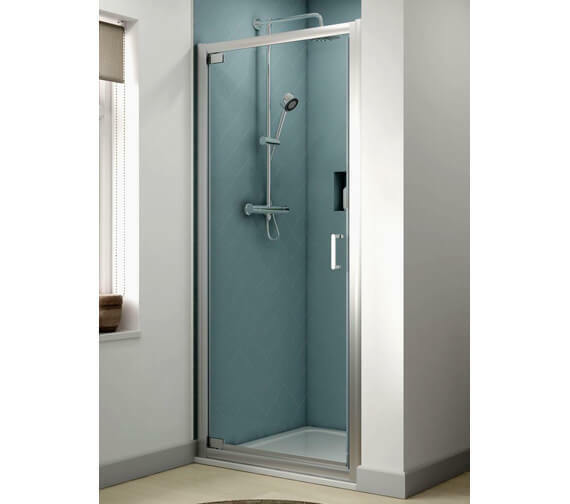 It is constructed using toughened safety glass and is strong, durable, and sure to stand the test of time. 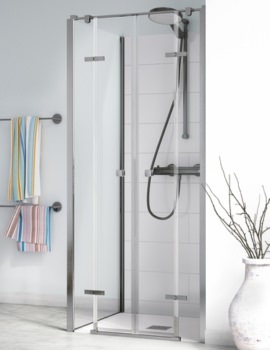 The Aquagleam glass protection coating prevents hard water and limescale buildup to enable easy cleaning and maintenance.